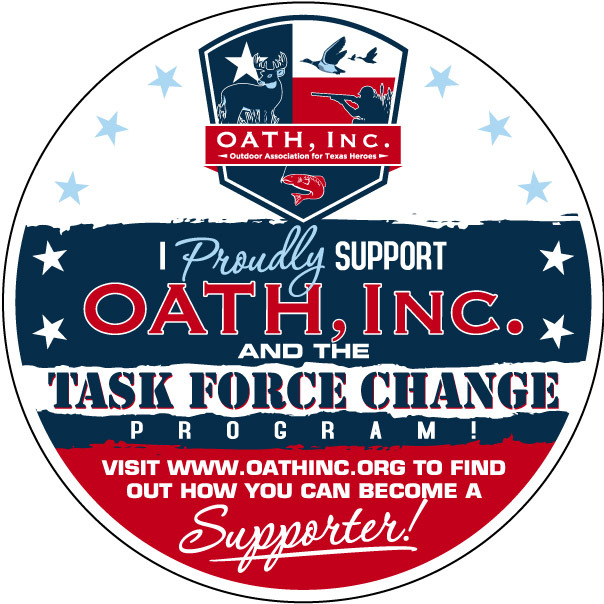 Task Force Change Program – OATH, Inc.
1 — CHANGE meaning we ask that you donate a small amount of pocket CHANGE to support OATH and her Heroes. 2 — CHANGE meaning we use that small pocket CHANGE to CHANGE a Hero’s life via a tailor made event. How it works is rather simple, but the lasting impact is nothing short of incredible !!! If you are the Owner of a company, business, franchise or store, an OATH Representative speaks to you and explains in full detail how you can support the TASK FORCE CHANGE program. Once you agree to become part of the winning solution, that OATH Representative will provide you with your TASK FORCE CHANGE Starter Kit that will include a few items: a sticker for you to display, a laminated pitch sheet that your staff can use when speaking to your customer base, and magnets for your Customers that agree to support the program. As the Owner of a company, business, franchise or store, you simply place the TASK FORCE CHANGE sticker on your entry door or an exterior window to proudly show that you support this amazing program. To supplement this sticker, you place the provided TASK FORCE CHANGE pitch sheet near your counter in order to make it very easy for your staff to tell your Customers about the program and its importance. Lastly, if a Customer agrees to take part in the program by donating at least $10, you provide them with a TASK FORCE CHANGE magnet for their vehicle or refrigerator so they can proudly show their friends and neighbors that they also support this amazing program. 1 — Your bill comes to $19.25, and you pay with a $20 bill. 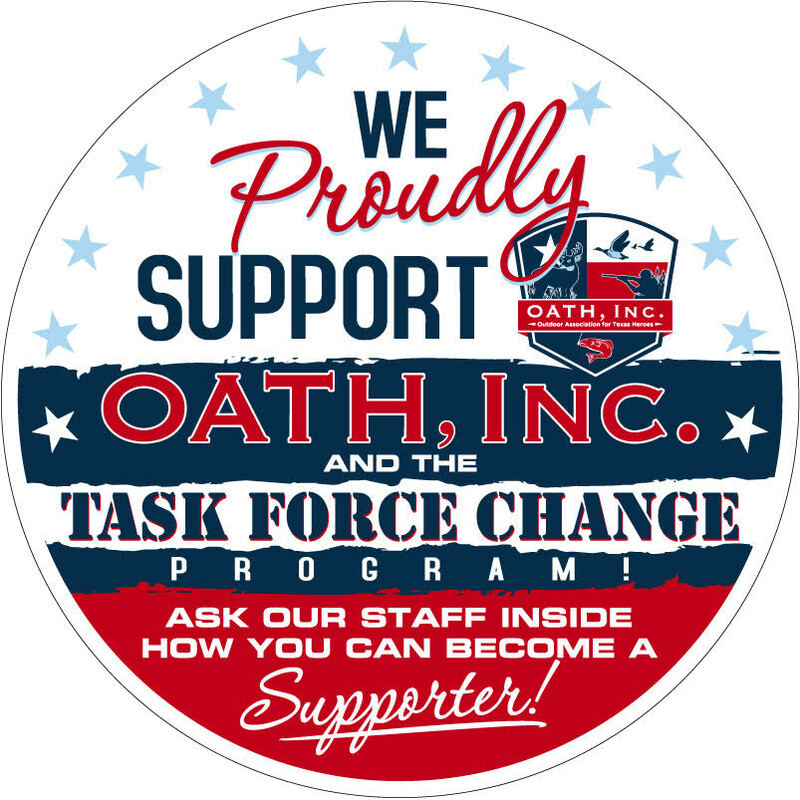 Instead of taking your CHANGE, you ask the staff to apply that CHANGE to the TASK FORCE CHANGE program, and that extra 75 cents goes directly to OATH ! Or, because you’re really generous and love supporting our Heroes, you add $5 or $10 or $20 or $whatever so we can have an even BIGGER impact on the lives of our benefactors !!! 2 — Your bill comes to $19.25 and you pay with either a check or credit card. You ask the staff to round up your bill to $20.00 with the extra 75 cents of CHANGE going to the TASK FORCE CHANGE program, and that extra 75 cents goes directly to OATH ! Or, because you’re really generous and love supporting our Heroes, you add $5 or $10 or $20 or $whatever so we can have an even BIGGER impact on the lives of our benefactors !!! As stated before, this program is rather simple, but the effects will be amazingly HUGE. If a Business sees 50 Customers a day and each of them pledges just $1 for their visit, that’s $50 a day…or $1,500 a month !!! Think about the possibilities of what our TEAM — the Business, the Customers, and OATH — can do with that money in order to change and save the life of a deserving Hero. Our only limiter is our imagination ! To make the program even sweeter, every company, business, franchise and store that takes part in this life altering program will be invited to OATH’s annual sporting clays tournament as OATH’s guest where they, as well as the top donor from their customer base, will be recognized for their efforts. Every Owner of each company, business, franchise or store that participates in the program will be given a plaque each year to hang in their store for their customer base to see the lasting effects of their donations. This plaque will show the name and date of the event, as well as the name, details and photo of the Hero supported. EVERYONE wins !!! So, if you are the Owner of a company, business, franchise or store and would like to hear more about this program, please send us an email and let us know ! Additionally, if you are the Customer of a company, business, franchise or store that you’d like to see get on board with this program, please tell their leadership about the program and encourage them to contact us right away so we can reach out to them ! Knowledge breeds Awareness…..Awareness breeds Action…..Action breeds CHANGE !! !